Group ski holidays are a fantastic way to spend quality time with friends, family or clients. You can show off on the powder during the day before an enjoyable evening catching up on a sunny après-ski terrace together. When you travel as a group, it's important to keep everyone happy – and the choice of accommodation plays a big role. While some might want to sneak off early with a book and a mug of hot chocolate, others will want to hold court late into the night around a crackling log fire. There are plenty of variables to think about, from ski experience and personality to what everyone enjoys doing in their free time. Luckily there are plenty of options, each with their own plus points. 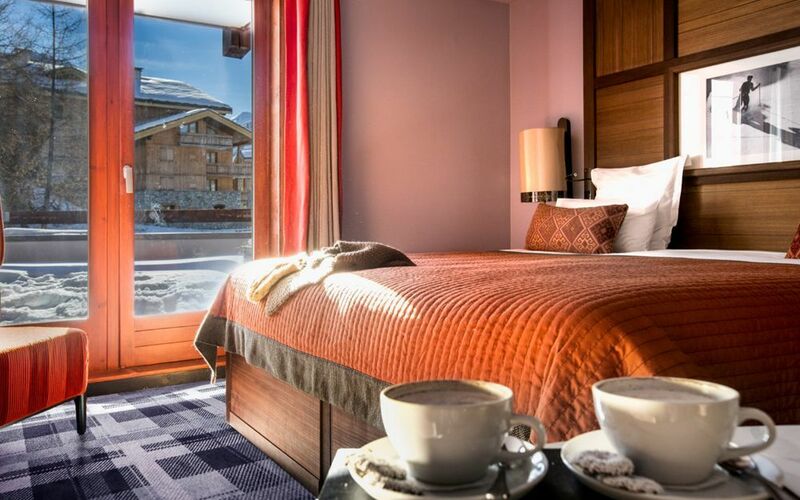 The privacy of your own room combined with a range of on-site facilities make ski hotels a fantastic choice for groups who want different things from their holiday. 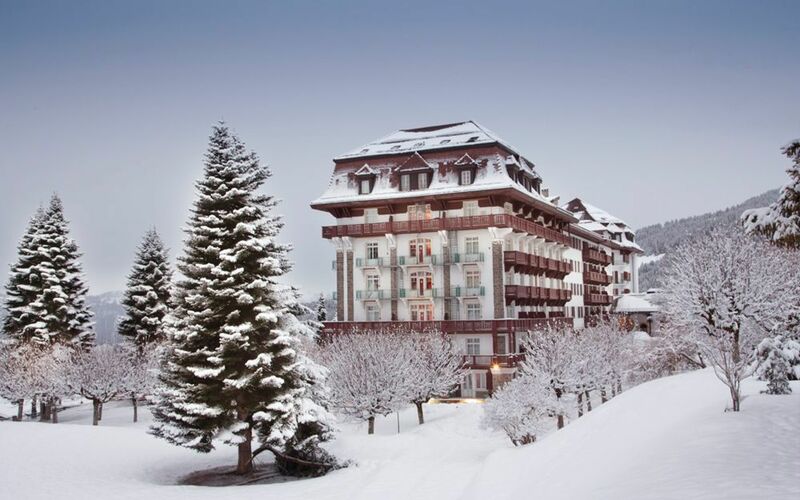 While the expert skiers are tackling the moguls, non-skiers can enjoy a pampering session in the spa. As hotels are more formal than chalets, they're well suited to corporate getaways – allowing everyone to have their own space if they want it. Most have well-appointed public spaces such as lounge bars and restaurants where your group can gather after a day on the slopes and choose to mingle with skiers outside your group. You can invite others to join your conversation about the day's most impressive stunts and you might find yourself with a new ski buddy. 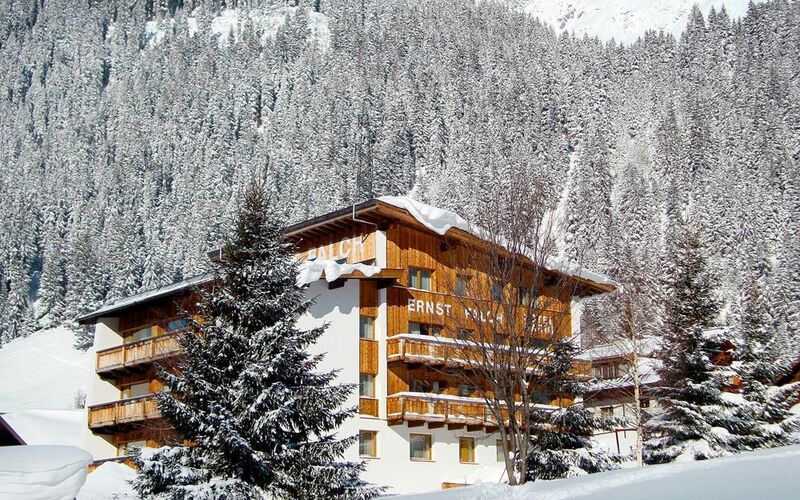 In addition, you can choose a hotel with childcare, good piste access, a central resort location or gourmet dining, depending on your group's needs. 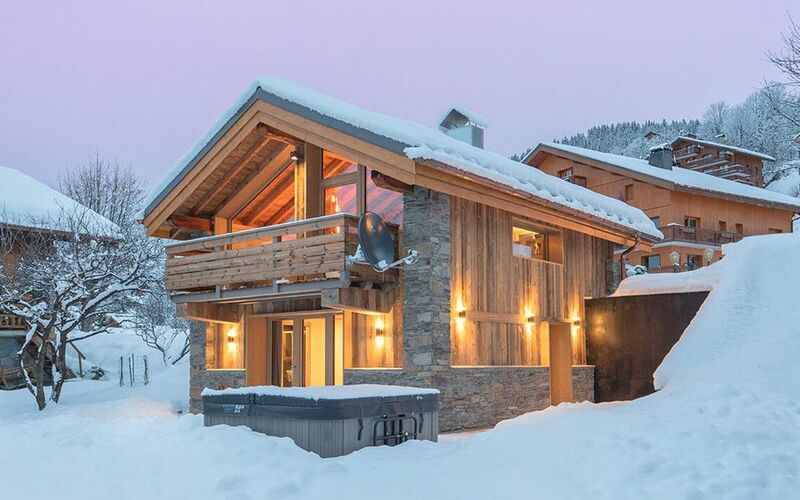 Booking an entire chalet can be a cost-effective way to house your group, especially if there's a whole chalet discount. These properties have the relaxed feeling of a home away from home, combined with the attentive care of a hotel. 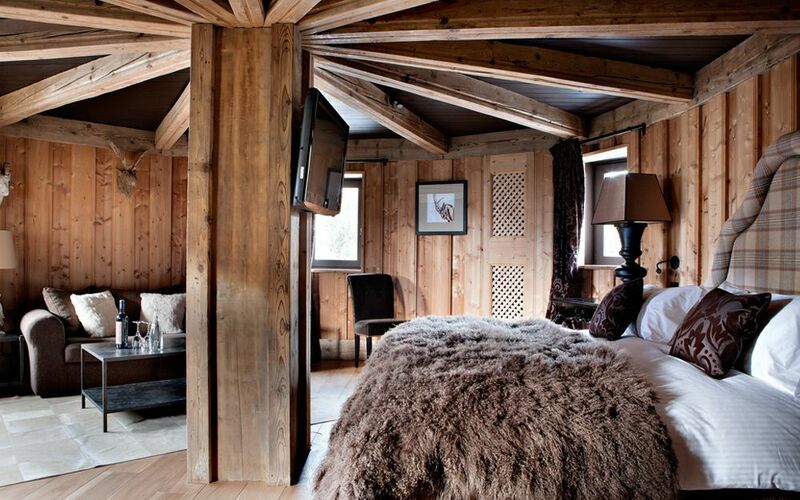 Chalets are the quintessential choice if you want that cosy log cabin feel with a roaring fire. They're also the perfect choice for special occasions such as hen and stag parties or milestone birthdays. Catered ski chalets have staff on hand to cook hearty meals and keep the place tidy. You can choose your own meal times and sit down together over breakfast, dinner and afternoon tea, so you'll have valuable bonding time even if you go your separate ways on the slopes. Chalets usually have large communal spaces where your group can gather after dinner. When you're looking to push the boat out, luxury touches can include a pool and Jacuzzi or a private chef. . 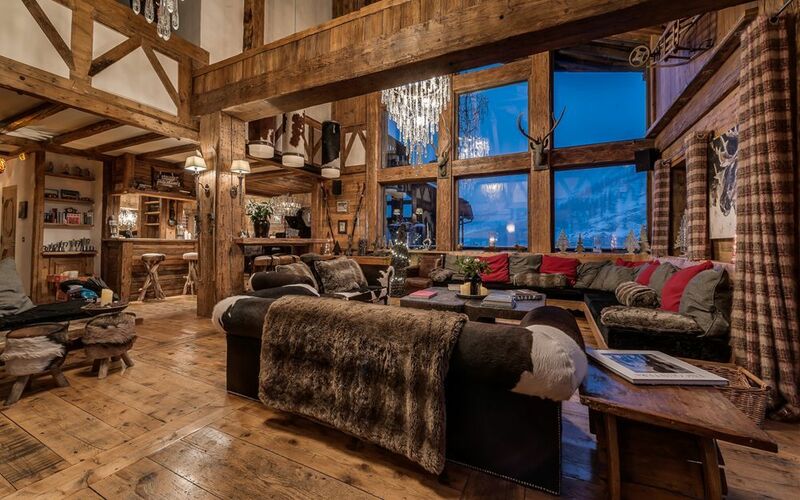 Ski apartments can have the same homely atmosphere as a chalet, but without the staff. This means you don't have to get up early or be back in time for dinner. You can whip up your favourite dish when you're hungry, or go out for a meal if you prefer the restaurant scene. 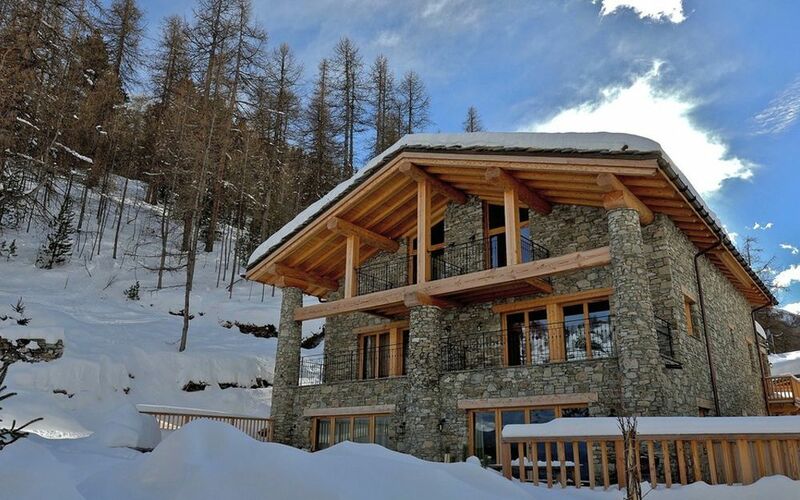 Self-catering ski apartments are more practical when travelling with friends wtih special dietary requirements as well as children, who might fancy a snack between meals or be a bit fussy with their food. Apartments can be excellent value for money, making it possible to ski in high-end resorts even when you don't want to pay luxury prices. Of course, there are opulent choices too, with spa facilities or pools and designer interiors. 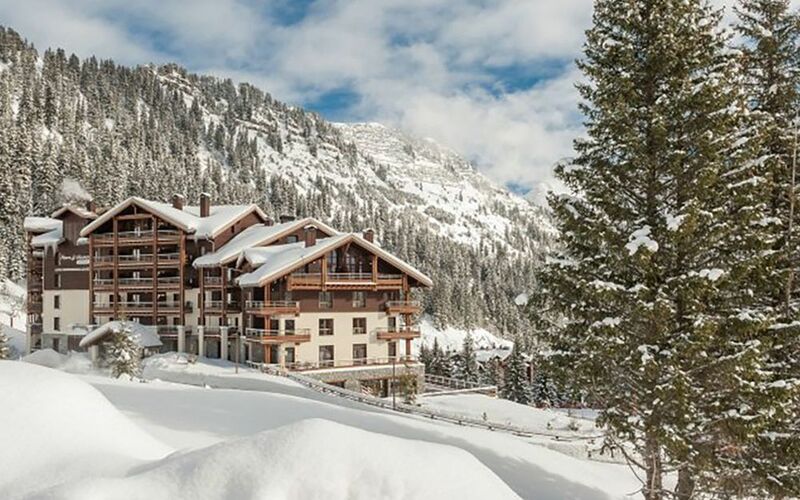 They come in all sizes, and there are plenty of ski-in, ski-out options, so avid skiers can maximise their time on the slopes. If you're the one planning the trip, choosing an all-inclusive ski holiday takes a lot of organisation off your shoulders. Deals include lift passes in addition to boot, ski and board rental, so you'll have everything you need to hit the slopes. All the fiddly bits like flights and airport transfers are part of the package, too. All-in deals often include breakfast, afternoon tea, three-course meals and plenty of wine on five of the seven nights. These packages give everyone peace of mind if your group is on a fixed budget, as all major costs are up-front when you book. It's also a good option for corporate ski trips: one click and you're booked, so you can get on with more pressing business and simply look forward to the trip. Every group will be able to find an option that best suits their size and budget, whether you all enjoy giving a helping hand with the cooking or would prefer your meals to be prepared for you. Consider the needs of every member of the group to ensure your best ski trip yet. If you’re unsure, speak to our ski experts who are happy to help tailor your ski holiday.